So many mentors and coaches offer self-growth programs for women, how is this different? While I’m a transformational coach and teacher, I have walked this sacred heart healing path myself. Only a short time ago, I was in your shoes, knowing I wanted a soulful, joyful and sacred life but having no idea how to honor my divinity. 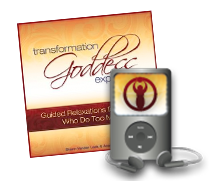 I learned valuable lessons and have since coached hundreds of women to navigate through transformation employing several successful modalities drawing from the Sacred Heart Teachings. When will I start receiving the weekly Sacred Heart Teaching emails? One week from your purchase date, and then every week for FOUR months. Can I purchase parts of the program separately? The Sacred Heart Teachings are a package deal. So the individual components cannot be purchased on their own. I treat my digital and print offerings the same way as most music and book retailers: I don’t offer refunds on downloaded or read products. Is there an affiliate program for The Sacred Heart Teachings? Absolutely. Sign up HERE to help me liberate more hearts. I’m grateful for your support. Please tell all your friends about this sacred work! Contact me here. I’ll get back to you straight away.